On November 16, 2014, the United Arab Emirates (UAE) took the unusual step of designating the Council on American-Islamic Relations (CAIR), and the Muslim American Society (MAS) as terrorist organizations. This outraged CAIR officials, who immediately began efforts to get their organization removed from the list. 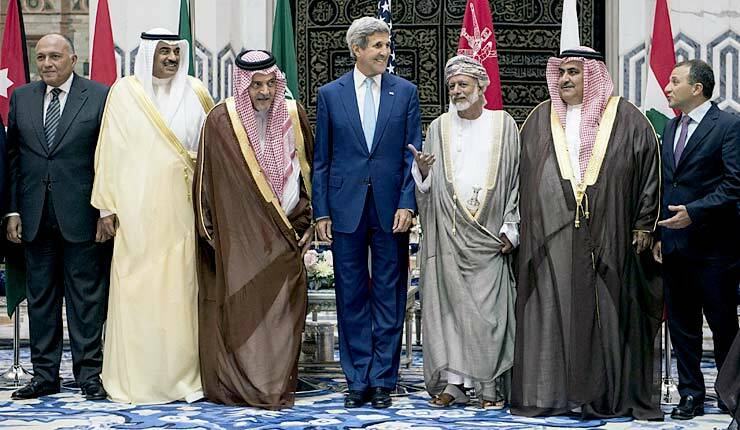 They found a powerful ally in Secretary of State John Kerry, who authorized State Department officials to meet regularly with UAE officials to lobbying on behalf of CAIR and MAS. CAIR already had a sympathetic ear in the Obama administration, including the State Department, which had openly embraced and legitimized the entire spectrum of radical Islamist groups falsely posing as religious or civil rights groups, which both CAIR and MAS had done. 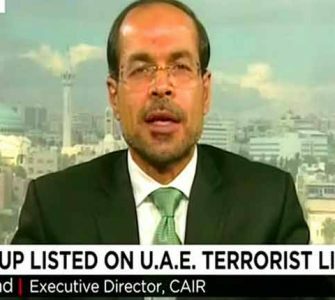 The UAE had good reason to designate CAIR as terror organization. For instance, records obtained by the FBI indicate that CAIR was created as front group for a Hamas support network. While CAIR bills itself as “the nation’s largest Muslim civil rights and advocacy organization,” the reality is quite different. In 2008, the FBI cut off official contact with CAIR, citing evidence from the Holy Land Foundation terror funding trial, which documented the connections between CAIR and its founders to Hamas. CAIR and its representatives, meanwhile, often espouse radical ideology and propagate the jihadist narrative that the United States is waging a “war on Islam.” Awad repeated that message as recently as September 2016, when he denounced legislation allowing the families of 9/11 victims to sue Saudi Arabia. CAIR officials also often side with Hamas and other Palestinian terrorists. Just days before the UAE’s 2014 designation of CAIR as a terrorist group, the organization’s San Francisco chapter bestowed its “Promoting Justice” award to Sami Al-Arian and his family. Al-Arian secretly ran an American support network for the Palestinian Islamic Jihad (PIJ) terrorist group in the late 1980s and early 1990s. PIJ was responsible for terrorist attacks that killed dozens of Israelis and several Americans. That portion of the letter now appears on CAIR’s website. But at the time that the letter was sent to CAIR, according to knowledgeable sources, there was an agreement between CAIR and the State Department to keep the letter secret. An excerpt from it was posted on CAIR’s website only in May 2016, a year after it was received. The IPT has learned that Kerry and CAIR agreed to keep the letter secret so as to protect Kerry from public embarrassment. In light of CAIR’s numerous ties to Hamas and other unsavory aspects of its record, Kerry had good reason to believe that the letter could cause a public relations disaster for him. Whatever influence the State Department exerted on the UAE did not work. There has been no indication that CAIR and MAS were removed from the Gulf state’s terrorist list. The organization seemed more comfortable with this authoritarian regime in 2006, when Awad and CAIR spokesman Ibrahim Hooper led a delegation on a fundraising trip to the UAE. State Department cables show that the delegation, led by the public relations firm Hill and Knowlton, sought millions of dollars from UAE donors. The cables, obtained by the IPT through the Freedom of Information Act, show that CAIR officials met with top UAE leaders and attended an evening reception “in honor of the CAIR group” hosted by a top presidential adviser. The cable also noted that “UAE press has reported that Sheikh Hamdan bin Rashid al-Makhtoum Deputy Ruler of Dubai and UAE Minister of Finance and Industry, ‘has endorsed a proposal to build a property in the US to serve as an endowment for CAIR.’” The cable added that CAIR had already received substantial contributions from several wealthy UAE donors, including one who had already given CAIR $1 million. This sordid episode of going to bat for a Hamas-support organization is emblematic of the larger problem of the Obama’s Administration’s inability to pinpoint the heart of the impasse between the Palestinians and the Israelis: unceasing Palestinian terrorism, continued Palestinian subsidies paid to terrorist families, incendiary glorification of terrorists who kill Jews and massive antisemitic incitement in Palestinian schools and media.